National Geographic is home to some 11 million photographs, 8 million of which are overseen by Bonner in the basement of their headquarters in Washington DC. The collection spans well over 100 years of image making, and Bonner claims to have looked at every single image in his archive. It must be exhilarating to look at so many actual negatives, plates, and prints from all over the world. Digital images provide unprecedented access to millions of people, but to interact with photographic objects is a different experience which can illuminate the content of the photograph even more. 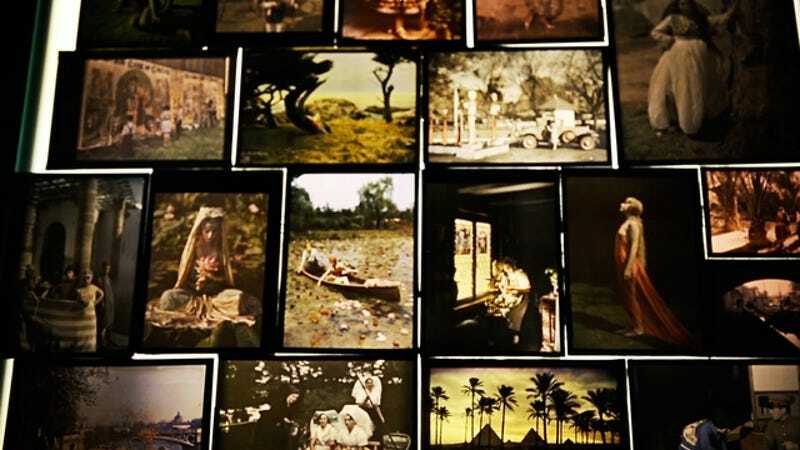 In the video you can see Bonner looking at glass autochrome plates, remnants of an early color photographic process that can only be truly appreciated by being seen in person. It goes without saying that archives like this are tremendously important for that reason alone. As efforts are underway all over the world to scan old photos into digital form, preserving what remains of photography's physical presence should not be ignored.